Home / Good Times & Fun Events / Delmarva Christmas Parades, 2018! 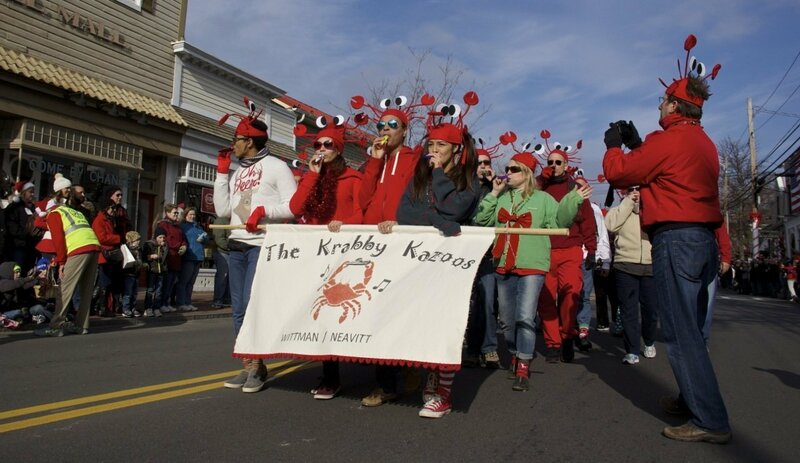 Here is your handy-dandy guide to more than 30 of this year’s Delmarva Christmas Parades. Just click on the parade title and you will head to a link with details. Did I miss a parade in your town? Let me know in the comments section below, and I will update the page when I can. 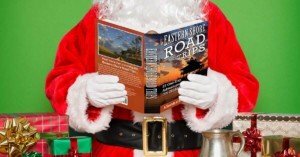 Click on Santa for info on this book of Eastern Shore Road Trips. 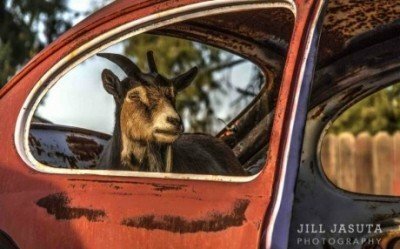 Who wouldn’t want to find “The Goat in a Bug” under the tree? Available as a matted and canvas print … as you willl see if you click on the photo. • The Cecil County Christmas Parade in North East, Md. • Santa Arrives by Boat, plus Crab Basket Tree Lighting in Rock Hall, Md. • Old Fashioned Christmas Parade & Tree Lighting in Ridgely, Md. 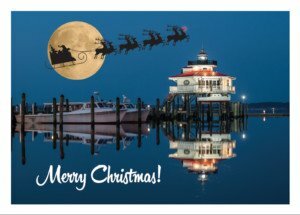 Click on the photo to see our Secrets of the Eastern Shore Christmas cards for 2018! 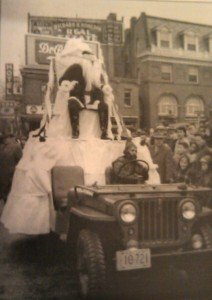 This photo is from the Salisbury Christmas Parade back in the day. • Santa Arrives by Boat in Onancock, Va.
Next PostThe Secrets of the Eastern Shore Holiday Pop Up Shop, 2018!